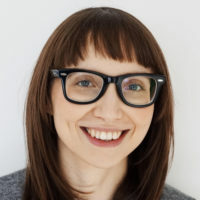 Beatrice Martini leads the Human Rights Technology program at Aspiration, a nonprofit connecting organizations, foundations and activists with software solutions, strategy and technology skills that help them better carry out their missions. She is a 2017-2018 digital HKS Tech Practitioner Affiliate at the Harvard Kennedy School. She participates in open source technology initiatives and peer-learning projects as contributor, facilitator, advisor, and mentor. She also serves in a formal advisory role with The Center for Tech Cultivation. While at Open Knowledge International, she curated and organized the Open Knowledge Conference 2013 and Open Knowledge Festival 2014. She also contributed to the foundation of OpenTechSchool, an international and distributed community initiative offering free technology workshops. You can follow her on Twitter @beatricemartini.